Our design process begins by clarifying the purpose of your landscaping project. Is it to provide curb appeal? Do you need to solve an erosion or drainage problem? Do you want to create a new area for outdoor living? Is there a place for hardscapes, such as paved walkways, retaining walls, concrete patios, stone fireplaces, or water features? Using computer-based design tools, we will help you to evaluate alternatives that fit within your budget. As we define all the elements, we analyze your site, taking note of land contours, sun exposure, and soil types. Softscapes offer many opportunities for providing seasonal changes in color, so we select shrubs and perennials that will bloom at different times. We take the time to understand what would please you the most and what would work best for your property. Before you sign off on the design, you have a clear idea of what to expect from the end result, both visually and functionally. With a detailed plan in place, we procure materials and plantings from the most reputable suppliers. Our staff then properly prepares the site to ensure that every placement remains secure, all walkways and electrical elements are safe, and each plant continues to thrive. Using our own well maintained equipment and skilled operators, we carefully remove and appropriately dispose of everything to be discarded. Once installation begins, our attention to detail guarantees straight lines, crisp delineations, and aesthetically pleasing results. Extending the summer season is easy when you have outdoor heating from a gas fire pit. Properly situated, these attractive additions to your patio will provide warmth for comfortable seating and a welcome glow on chilly evenings. As with all our construction projects, we pay attention to aesthetics as well as safety when designing and installing heat sources. Your family and guests are sure to enjoy the modern rendition of a cozy campfire that is conveniently lit and easily maintained. 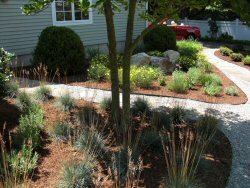 A quality landscape design takes into account the growth of plantings over time. 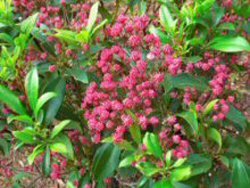 With proper maintenance, your shrubs and perennials will become more beautiful each year. At the start of each season, we can point out areas where adding colorful annuals might further enhance your garden's visual appeal. To maintain your investment, we offer a variety of programs for gardens, shrubs, and lawns. Whether you contract for a full season, or call us as needed, you can be assured of timely and reliable service from qualified professionals. Our maintenance options include replenishment plantings, fertilizing, mulching, weeding, pruning, trimming, and mowing. Walkways with creative shapes compliment a variety of plantings. 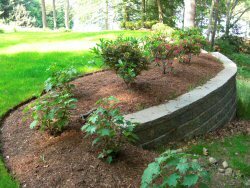 Stone retaining walls are both functional and attractive. 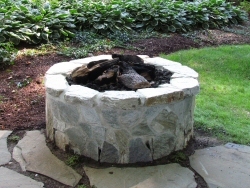 Gas fire pits extend the season for outdoor living. Given a healthy start and proper care, plantings become more beautiful.